Keeping the Great Outdoors… Outdoors! What’s more beautiful – more awe-inspiring - than the Great Outdoors? Each creature is an essential part of the circle of life. But that doesn’t mean you want skunks, raccoons, squirrels, possums, bears, and other “visitors” hanging around your yard (or even worse – in your garage, sheds, or outbuildings!). Most of the time, wildlife is more picturesque than pesky, but animals can become a nuisance if they’re on the hunt for food. How can you live safely with your less domesticated neighbors? Don’t send out an invitation. If you keep garbage cans, compost, bird seed, and pet food outside, you’re telling the neighborhood wildlife to come on in and enjoy the buffet. Make sure all of your garbage and compost is secured (either inside or with a locking can). If you have bird feeders, clean up spillage periodically. Feed your pets inside and store their food in critter-proof containers. If an animal does get into trash, clean it up so your enticing trash doesn’t bring more critters to the yard. Don’t be hospitable. Squirrels, rats, birds, and other creatures can exploit even the smallest openings and seek shelter inside your home. A mouse can fit through a hole as small in diameter as a pencil; a raccoon only needs a grapefruit-sized opening. With this in mind, look for access points, including vents, cracks, broken windows, loose roofing and siding, gaps in doors or windows, and chimneys. When you find possible points of entry, don’t seal them up! You don’t want to trap the animal(s) inside. Pet squirrels? No thanks! Instead, try crumpling up a paper towel and putting it in the entrance. If it gets pushed out, you know you have a visitor. Call an animal control expert to help you remove it safely. Close down the critter highway. Branches often provide squirrels and raccoons with a convenient bridge from trees into your attic and are a favourite nesting spot. Trim any branches that overhang your home. While you’re at it, clean up yard debris (leaves, sticks, lawn trimmings, etc.) to discourage critters from nesting too close to your home. Button up for the winter. When the mercury drops, voles, moles, squirrels, mice, and other animals want to find a warm shelter to spend the winter. Your house will do! To prepare for winter, remove vegetation, seeds, firewood, and other animal-attractors from your yard, make sure your chimney has a cap, and consider installing a barrier of hardware cloth (buried 12 inches deep) around your home. Never approach them. Keep your distance. 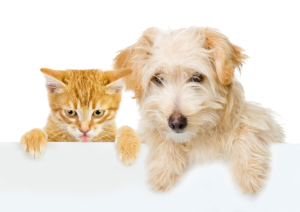 Ensure that your pets are properly vaccinated. Call an animal control specialist. These tips will help you keep the residents of the Great Outdoors where they belong: out!